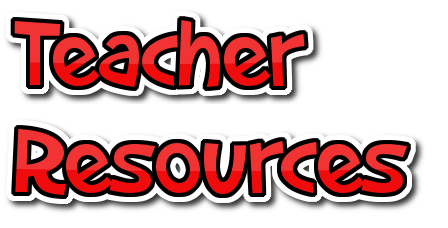 A list of resources arranged by Subject. Beginners Coding Guide. A free interactive learning resource for educators. This guide gives educators a resource to introduce the basics of coding on a safe and fun website. Google Arts and Culture. This expansive website is a useful classroom resource to initiate curiosity and extend learning through independent or guided inquiry, and to assist students to research a particular artist, artistic movement, time period, event, or place. Users can explore galleries in 40 countries around the globe and create their own personal art collection using a favourite button. Healthy Kids Quest. This Canadian website, available in English and French, is a teacher-oriented resource for teaching about healthy lifestyles. It covers a number of topics, including fruit, water, vegetables, grains, healthy snacks, balanced lunches, and physical activities, all of which help students understand how nutritious eating and physical activity contribute to their health. The site includes activities and lesson plans with a progression of learning, assessment tools, and an evaluation tool, and the lessons offer opportunities for creative and critical thinking. Suitable for grades K-3. Milk. BC Dairy Association, a leader in nutrition education, has created an engaging nutrition and healthy eating website that prompts students to assess their health and nutrition. The website meets many different needs for students as they can research nutrition or inquiry questions by exploring lesson plans and reading articles, discuss topics, participate in cooking contests, design meal plans, try recipes on the website, create posters, design displays, create videos, and participate in events and workshops. Nourish Curriculum Guide. Nourish, an educational initiative to create meaningful conversations about food, health, sustainability, and food systems, has a comprehensive website that aims to inspire students to become more educated about what they feed themselves, how they can nourish the planet, and how they can make a difference by taking action around food-related issues at home, at school, and in the community. The many curriculum resources, short films, and engaging interviews with experts celebrate food and community. Once Upon A Picture. This image library has a series of images to inspire reading and writing. Shel Silverstein Poetry. The easy-to-navigate website contains materials that complement Shel Silverstein’s poetry, including short, lively animated clips of some of his poems, playful suggestions for exploring poetry, suggestions for discussing themes and topics, suggested writing activities, and some simple worksheets to practice experimenting with language. Suitable for grades 1-7, the video clips could be shared in class as prompts for discussion, models for writing, or for students to explore independently. Includes teacher guides with simple suggestions for activities to explore poems in each Silverstein's books, black line masters, and drawing and activity booklets. Splats - there are 50 free powerpoints available - looking at various grade level math concepts. If you go to the recommended links and click on the Daily Math Routines at your fingertips - you will find a plethora of math resource links. Which one doesn't belong - This website has tables which promote discussion about number sense. There are many possible answers and students are asked to defend their position. Biomes of the World. This extensive website provides detailed information on biomes of the world through text, images, data, maps, and charts. The layout of the website is very clear, well organized, and easy to navigate, and the concepts are clearly explained. B.C. Agriculture in the Classroom. This comprehensive website brings BC agriculture into BC classrooms. Students can explore the science and practice of farming, food production, soil cultivation, raising animals to provide food and other products, sustainability, and food choices. Information is presented through web pages, videos, worksheets, and quizzes and can broaden students’ understanding of the industry and encourage them to think creatively and critically. Canadian Forestry Association. The CFA website covers forestry, the forest industry, conservation, trees, and sustainability. Each section of the website is divided into smaller, more manageable chunks. Teachers will find the information and lesson plans helpful to develop engaging lessons for K-12 classes. Middle and secondary school students will find the website useful for research projects and games are available to help students enhance and test their knowledge. Museo Galileo Virtual Museum. This extensive website covers the evolution and development of scientific tools and instruments. Information is provided through descriptive text, images, and videos that explain the use, development, and history of each item. With a collection of more than 5,000 items to explore, a virtual museum tour, and biographies of over 75 scientists between the 16th and 19th centuries, students could use this resource for research projects and teachers could create scavenger hunts or use images and videos to support lessons. One Geology Kids. This geological information tool is visually appealing and easy to navigate for primary students. It has many class uses, including inquiry projects, source of interactive maps for activities and exploration, and for units on rocks and minerals. Each page includes a short quiz to test knowledge of the information on the page, links for definitions, and search terms for further research. Space Travel 2000. This Canadian Space Agency resource provides basic, introductory information on the solar system, the major planets, Canada's contributions to space technology and exploration, and general scientific principles and ideas. Best suited as a teacher resource, it can be a good starting point to gather ideas for simple experiments, demonstrations, and hands-on activities. As the site has not been updated since 2000, educators will need to expand the basic information with supplemental sites, books, multimedia, and other resources. What It's Like Where You Live. The simply designed, clearly written website provides information about Earth’s different biomes and freshwater and marine ecosystems. The informational text, maps, diagrams, graphics, and photos provide an overview of adaptation, classification, identification, conservation, and biodiversity. Concepts are clearly introduced and developed with a similar format and outline used for each biome and ecosystem . CBC Digital Archives. This digital archive is a rich source of primary resources on major events in Canadian history, politics, and culture. It provides audio and video files and short print texts on an extensive range of topics, including politics, science, technology, lifestyle, sports, arts, and entertainment. The website offers opportunities to explore social attitudes from the past, to learn from interviews with poets and writers, to discuss issues such as missing voices in Canadian history, and to provide the basis for inquiry projects. Crash Course. This collection of educational videos covers a wide range of subject areas, including science, history, computer science, ecology, economics, literature, sociology, humanities. Each video is about 10-15 minutes long and many of the narrators are humorous, making the videos enjoyable and easy to understand. Discovering Egypt. This extensive website provides engaging information on all aspects of ancient Egyptian history and culture, including communication, structures, mythology, numeracy, and written literacy. The well-researched, detailed, and intriguing content is presented in text, video, photo, and slideshow formats, with a hieroglyphic typewriter also included. The resource supports analyzing, questioning, interpreting, creative and critical thinking, and comparing and characterizing different time periods in history. First Voices. This ambitious website aims to archive, reclaim, and preserve 50 Indigenous language groups. It provides extensive vocabulary lists, clear audio recordings by native speakers providing pronunciation examples, stories and songs from Indigenous communities, background information on the histories of different Indigenous peoples from their perspectives, the different alphabets used to represent the sounds of each Indigenous language, and games and other activities. Learn Michif. This informational website, created by the BC Metis nation, includes text, images, and videos. Historical events are documented with images and text, and student ambassadors interviewed elders and the videos of their stories are included. There is also a Michif language learning section with short videos, practice dialogue, matching quizzes, and phrases. The website is simple to use, with many drop-down menus and tabs. Useful or grades 5-12, students could follow an elder’s story, write journal entries, reflections, or newspaper articles, and educators could use the site to support inquiry projects about Metis history and language. Natural Resources Canada. This extensive Canadian government resource documents both the historical and current status of natural resources in Canada. The information is presented in detailed videos, images, publications, facts, and data, which will support a range of learning styles. It provides extensive information on every natural resource which will support research and inquiry projects. Possibilities for Learning. - The free tools and resources provided here enable students, teachers and parents to find or plan activities and differentiate curriculum that is worthy of their astonishing potential to learn, create and grow.